Fall is finally here. This has got to be my favorite season of them all. Leaves changing, nice cozy sweater weather, bon fires and pumpkin spice everything, lol. I haven't shared a Thirsty Thursday drink in a while and I thought what better way to start up again, especially since it's the first day of October. This is the month that my house smells like pumpkin or apple, the month where my family and I watch our favorite classic family Halloween movies and make our Monster Munch and Monster Cookies. Today I'm going to be sharing a spiked apple cider drink using Fireball. Have you guys ever had Fireball before? It reminds me of the Hot Tamales candy I use to eat growing up or the Aftershock alcohol that was from the 90's. Fireball is a hot and cool cinnamon liqueur that taste so good. It's perfect to have around this time of year. Mixing it with apple cider is my favorite way to drink it. It's easy to make and is a perfect adult drink to kick start Fall. This would be great to drink at a bon fire or by the fireplace. You can drink it over ice or warm. I prefer it warm, it keeps me nice and toasty. 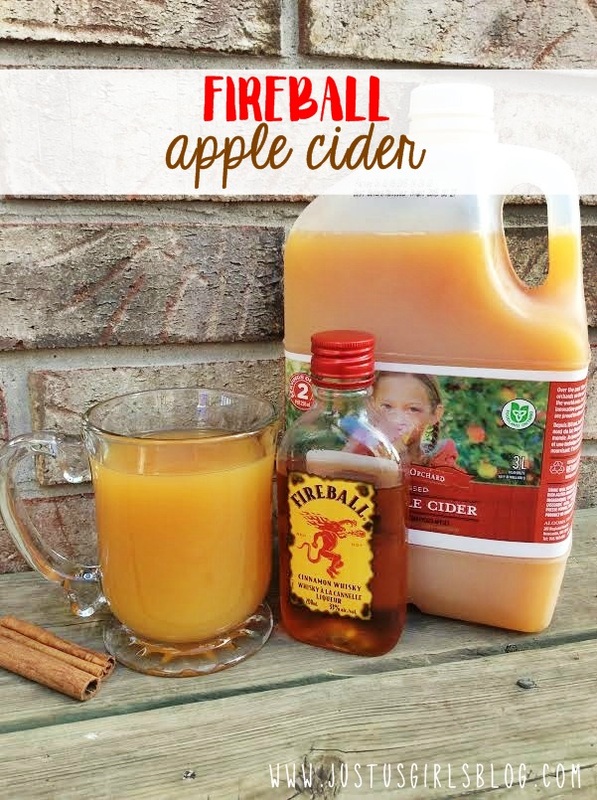 Directions: Pour in the Fireball Cinnamon Whiskey and top with warm apple cider. Stir until mixed well. Drink and enjoy. To serve cold, add ice in cup before liquids and don't heat up your cider. Stir, drink and enjoy. This sounds like the perfect drink to keep you warm on a cold winter night. it is still cold here at night so I will have to give it a try. It's definitely a great drink to have during the Fall/Winter seasons! I've never had a drink like this before! I'mma make it next weekend for Easter!